It’s the most wonderful time of the year! It’s time for squash…and lots of it. By the time you have finished reading this, I’m hoping I have convinced you enough that you pick up your keys and head to your closest market to grab some squash for dinner tonight. The first squash I’ll talk about is my personal favorite, kabocha squash. You’ve probably seen these bumpy green pumpkin-shaped squashes hanging out in the produce department in September. 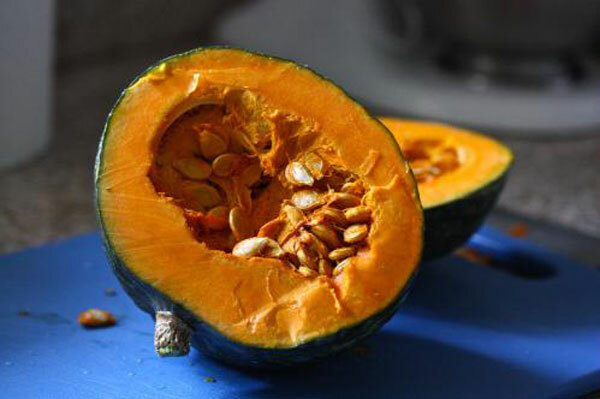 Kabocha squash has an incredibly thick skin and a sweet, almost creamy orange flesh. It’s a little bit sweeter than butternut and acorn squash, and my favorite preparation is simply sliced and roasted with a little salt and pepper. 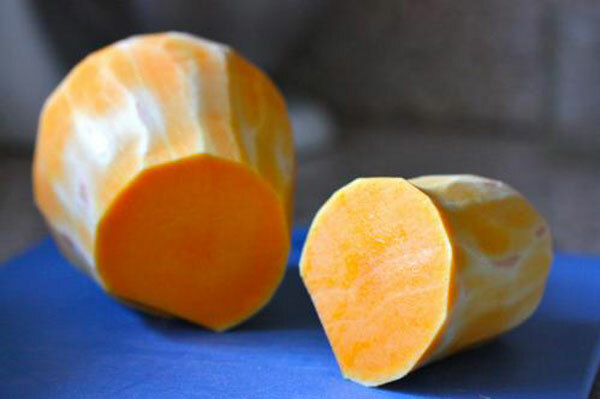 Kabocha squash is also very delicious when used in a red Thai curry, which I will include a recipe for below. I originally posted this recipe on my site about a year ago and it still remains one of my very favorites. It’s deliciously spicy and the kabocha squash is perfect in it! The next squash on the list is everyone’s favorite, butternut squash. Butternut squash has a thin skin, so it’s easy to peel and chop. Its flesh is mildly sweet, and it’s really great roasted then pureed into a soup with a little coconut milk and curry powder. You can also use the same preparation method for acorn squash, although I love to just slice up acorn squash then dab butter and brown sugar on the rings and bake for 40 minutes at 400 degrees. The brown sugar caramelizes and it’s just delicious. And finally, spaghetti squash. 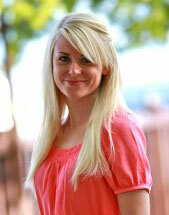 Many people love to use the noodle-like flesh of spaghetti squash as a low-carb substitution for pasta. 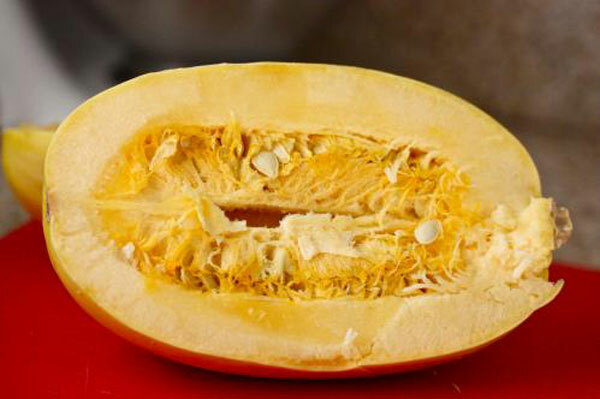 To prepare spaghetti squash, just slice it down the middle (like the photo) then roast cut-side down on a baking sheet at 400 degrees for about 40 minutes. After the squash has cooled, you can use a fork to scoop out all the “spaghetti”. Then, just top with marinara sauce, some Parmesan cheese and you’ve got dinner! Another great idea is to just toss the roasted squash with a little bit of butter, cinnamon and sugar. It makes a wonderful seasonal side-dish to roasted meat. I hope you loved all these winter squash ideas as well as this recipe for Red Thai Curry with Kabocha Squash, courtesy of my blog, Eat, Live, Run. Make red thai curry with kabocha squash for dinner using green beans, bell peppers, coconut milk, jasmine rice, and firm tofu. Food blogger Jenna Weber explains the different types of squash in a full post on the Fresh Tastes blog. Preheat oven to 400 degrees. Drizzle olive oil on a foil lined sheet tray. Slice kabocha squash, remove seeds, and place cut-side down on the sheet tray. Roast squash halves for about 30 minutes until tender. Remove and let cool completely. In a large pot or deep pan, heat the canola oil over medium high heat. Add the curry paste and mash into hot oil so all the paste gets incorporated. Then, slowly drizzle in the coconut milk, whisking continuously until all milk has been added and no curry “clumps” remain. Add water, torn kaffir lime leaves, thai basil, fish sauce, brown sugar and thai red chilies and bring to a simmer. Add red bell peppers and green bean halves and continue simmering sauce for about 15 minutes until vegetables are just cooked but not mushy. Peel or slice kabocha squash away from peel. Chop into large chunks and add along with the tofu to the curry sauce. Serve curry over jasmine rice (don’t eat the chilies! ).